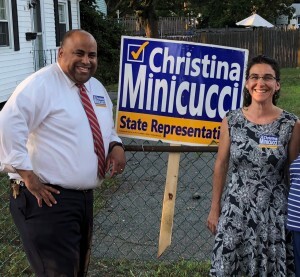 LAWRENCE, MA – Calling her a “woman who gets things done,” Lawrence Mayor Daniel Rivera announced that he is supporting local businesswoman Christina Minicucci (D-North Andover) for the open 14th Essex State House seat. The seat is currently held but being vacated by State Rep. Diana DiZoglio (D-Methuen) who is running for State Senate this year. Minicucci is running against former Methuen City Councilor Lisa Ferry for the Democrat party nomination on September 4th. 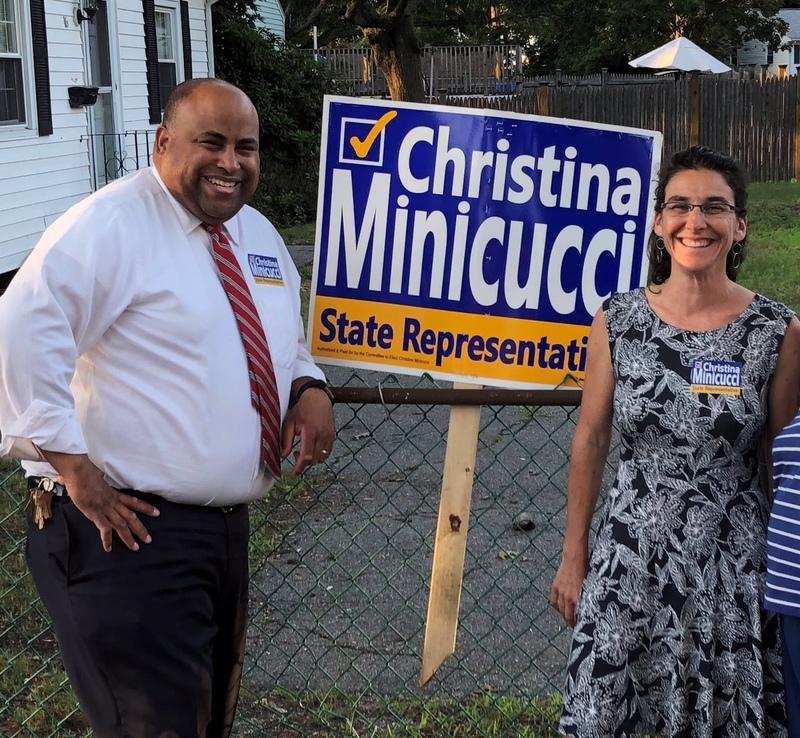 “The challenges facing the Merrimack Valley are great, and Christina has consistently been a woman who tackles challenges head-on,” said Mayor Rivera. Rivera noted that Minicucci formerly served on the YWCA Board of Directors, helped draft the North Andover Master Plan, coordinates volunteers to keep her school library open, and spent years as a sexual assault hotline volunteer. Minicucci is seeking the Democratic nomination to fill the seat being vacated by State Representative Diana DiZoglio (D-Methuen), who is running for State Senate. The 14th Essex District includes precincts A1, A3, and F1 in Lawrence, as well as precincts in Haverhill, Methuen, and North Andover. The Democratic Primary is scheduled for Tuesday, September 4th – the day after Labor Day.